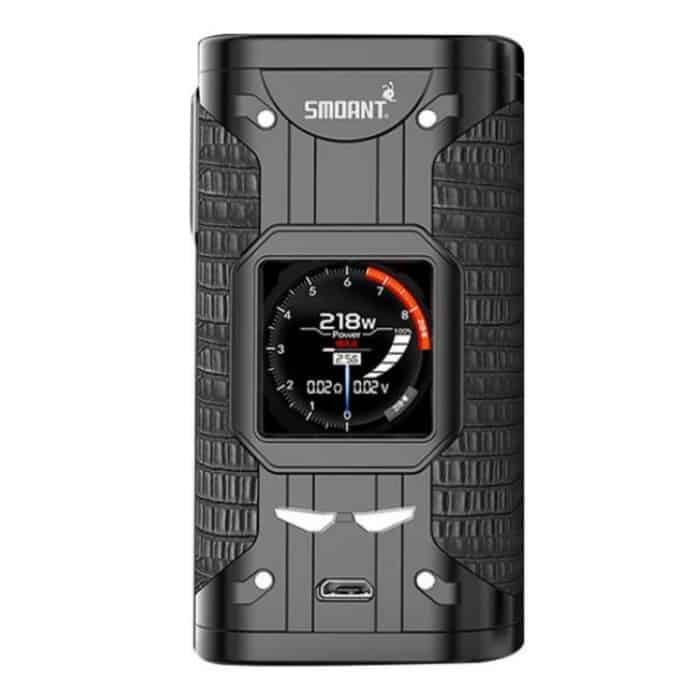 Smoant Cylon 218W TC Box Mod integrates the Ant218 v2 chip set which offers tremendous power, accuracy, and sophistication combined with an ergonomic chassis, high quality leather, beautiful and robust display technology. The Cylon is capable of 5 to 200W of output alongside a full temperature control support, customization, precision and accuracy that rivals the best available on the market. The Colored TFT display features a vibrant display along with multiple arrangements and layouts that users can choose between, offering a dynamic display experience. Driving the entire system are two high amperage 18650 batteries (batteries sold separately), with a charge port for minimal downtime. Smoant lines up as a strong competition with the Cylon 218W Box Mod that’s affordable for the power it administers for any new or experienced vapors looking for a new device. I had the pleasure of taking one of these for a test drive. I think this will be my next purchase.